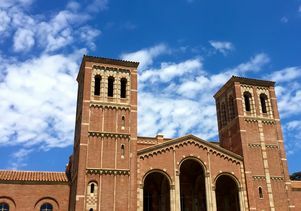 Two — UCLA’s graduate school of education and UCLA’s clinical psychology graduate program — were ranked No. 1 in the country. One of the latest experimental candidates for a male birth control drug is a compound that would be taken much like the daily birth control pill available for women. A pilot study presented at the Endocrine Society’s annual meeting suggests that the compound — called dimethandrolone undecanoate — can be safe and effective in human test subjects…. The research was a joint collaboration between the University of Washington and UCLA. The “foodie movement” also has revived interest in cooking that shows off science, said Sarah Tracy, an adjunct professor at UCLA’s Institute for Society and Genetics who will publish a history of MSG this year. While Tracy isn’t entirely willing to give the seasoning her seal of approval — it is being researched for its possible role in promoting weight gain, she points out — she sees other cooks and consumers embracing the seasoning as a sign of their culinary savviness. It may also be the tip of the celestial iceberg. An earlier study by another group of astronomers, led by David Jewitt, of University of California, Los Angeles, estimated that another 10,000 interstellar asteroids could be closer to the sun than the eighth planet, Neptune, which lies 30 times further from the sun than the Earth. Yet these are currently undetected. New survey telescopes and upgrades to existing ones are expected to begin seeing them in the coming years. “This storm is not going to be like the last couple of storms. I know there were some evacuations for the last couple of rain events, which weren’t particularly heavy by the standards of what’s coming. This is going to be more like the January 9th event or maybe even wetter,” said UCLA’s Daniel Swain. David Maciel, a UCLA Mexican film professor, has been asked by the Mexican government to promote the new way of registering to vote for Mexican citizens living in the U.S. Maciel said there is a sense of urgency for Mexico to get its citizens abroad to cast their votes because election experts predict the presidential election will be won or lost on the narrowest of margins. Accurate counting of Alzheimer’s cases is difficult, said Ron Brookmeyer, professor of biostatistics at the UCLA Fielding School of Public Health, who was not involved with the new report. There is no national surveillance of the disease and the line between what is called “mild cognitive impairment” (sometimes the first stage of Alzheimer’s) and dementia is fuzzy. “Different researchers can use different thresholds, and that can really impact the numbers,” Brookmeyer said.